If you've been wondering where this feature went, it's finally back. Sort of. 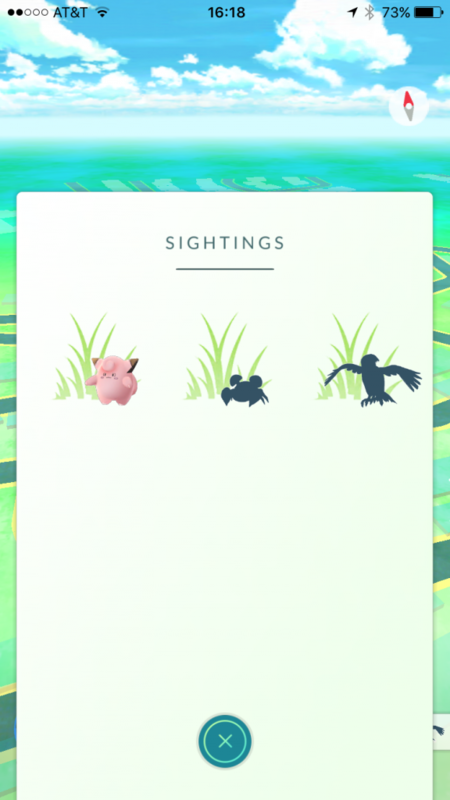 Pokemon Go has been undergoing a series of changes, if you've been caught unaware somehow, and the latest effort to alter the core game to improve and offer fixes for players Niantic has just pushed through update 1.3.0, which reinstates the "Nearby Pokemon" screen by way of the Sightings screen. In short, it's a little different, but it's meant to simplify things further. The Sightings screen is meant as a viable alternative to the Nearby Pokemon option you could formerly employ, but it's a little different. It will start out completely empty and add Pokemon to the screen as you get near them. But curiously missing still is the tracking feature. While you can see the Pokemon around you, you can't really do much with that information until you get right up on the monster, and at that point you may as well just try and capture whatever's around you. You can also change your Trainer's nickname and utilize the game's battery saver mode as well as some improvements on bugs previously present, but in all this update is both a hit and a miss. It's going to be a while, obviously, before the game is improved to a level that you'll be able to call it a legitimate Pokemon adventure, but hopefully that day does come to pass going forward.